Common People, Bestival's new metropolitan festival line-up announced! It’s hard to imagine it now, especially after the recent lot of snow we've had, but summer and festival season are coming. 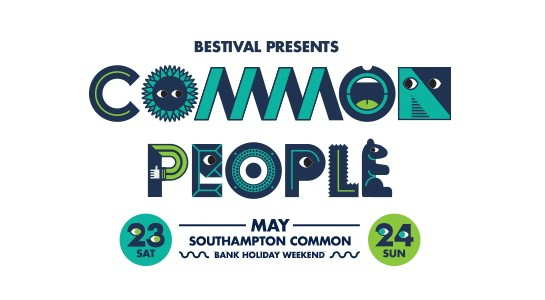 Along with it is Bestival’s new sibling Common People. Set up by the same people it’s a two-day affair at Southampton Common occurring on the May bank holiday weekend, which means no worry about hung-over work on Monday. The line-up came out tonight, and we are all over it. Saturday is headed up by the main man Norman Cook (Fatboy Slim obviously). Hip Hop legends De La Soul join him along with Jaguar Skills, Brit nominee George the Poet, Plastic Mermaids, Funky Little Choir, South Coast Swing, DJ Kitty Amour, Black Kat Boppers and the legend - Mr Motivator. Sunday announcements so far include Clean Bandit, Band of Skulls, Slaves, The Cuban Brothers, Kitty, Daisy and Lewis, Craig Charles and West End Kids all join him. It’s not the strength in its live line-up that caught our attention though, its DJ set line-up that made us throw our money at them. Dusky, Huxley, Dense & Pika, Leon Vynehall, DJ Luca Pilato and Jordan McKinlay all feature on Saturday. Sunday see’s Chicago house master Derrick Carter, Rob da Bank, Friend Within, Toyboy & Robin, and more yet to be confirmed all play. We are absolutely chuffed with that, it’s great to see such a diverse and quality list of DJ’s at a non-dance festival. If that’s not enough they've got some sick venues, activities, bars and street food to top it all off along with a load of family stuff too. Day and weekend tickets go on sale this morning at 9am, don’t hang around!